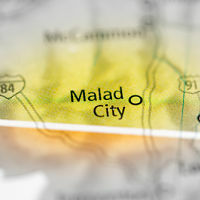 This is the Digital Disaster Response System for Nell J. Redfield Memorial Hospital in Malad City, Idaho. This site is for web-enabled communications during emergency events. During an actual incident the disaster action plan or important directives will appear on this page. Though this site is for emergency responders public informational links are available on the left of this page. This page and other areas can be updated for communication purposes during or before an incident by the incident command staff of Nell J. Redfield Memorial Hospital. Support for these features is provided by FastCommand. Date/Time Issued: Friday, August 24, 2018/9:00a.m. Next Update:Monday, August 27, 2018/10:00a.m. The Idaho Department of Environmental Quality (DEQ) has issuedan Air Quality Advisory and Stage 1 Air Pollution Forecast and Cautionto notify residents of Bannock, BearLake, Bingham, Caribou, Franklin, Power and OneidaCountiesof degradedair quality. Due to wildfire smoke health impacts may occur, BURNING RESTRICTIONS ARE IN EFFECT. Air quality is currently in theUNHEALTHY FOR SENSITIVE GROUPS*category and is forecast to fluctuate between unhealthy for sensitive groups category and the unhealthy category. The pollutant of concern is Fine Particulate Matter (PM2.5). When air quality is unhealthy, everyone may begin to experience health effects. Members of sensitive groups* may experience more serious effects & should avoid prolonged/heavy exertion & stay indoors. Everyone else should limit prolonged/heavy exertion & limit time outdoors. Residential wood burning activities are restricted. This burn ban will remain in effect until air quality has improved in accordance with local ordinances. All outdoor open burning is prohibited by the Department of Environmental Qualityin accordance with local ordinances and the Rules for the Control of Air Pollution in Idaho (IDAPA 58.01.01.550). For more information, contact DEQs Regional Office in Pocatello at (208) 236-6160.For real-time air monitoring information, visit DEQs website at airquality.deq.idaho.gov. For more information concerning local ordinances contact yourlocal city or county.